We close out the week with a new review. Perhaps "new" is a misnomer, as it's really a retro review. Then again, this review is technically "new", then. Ah, the staff will argue about this later. Here's SuperPhillip Central's review of Metroid Prime Hunters for the Nintendo DS. Ever since its inception, the Metroid series has been primarily an adventure game with a side of shooting action. Even the GameCube and Wii's Metroid Prime trilogy of games that put players within the helmet of Samus Aran in a first-person viewpoint still relied heavily on adventure and exploration elements. However, back in 2006 the team at NST took the foundation that Retro Studios made with Metroid Prime and ran with it, this time focusing more on the shooting elements of the Metroid franchise than franchise fans were used to. 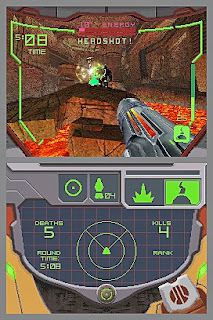 The result was Metroid Prime Hunters, a Nintendo DS exclusive that enhanced the competitive multiplayer experience started by Metroid Prime 2: Echoes. What this all adds up to is a surprising addicting multiplayer game with an enjoyable single-player campaign. A sector of the universe far beyond the reach of the Galactic Federation, the Alimbic Cluster, has transferred a message to various souls across space telepathically. The message informs of an ultimate power that can be acquired. This message entices bounty hunters from all corners of the galaxy, including those of the Galactic Federation. Samus Aran is tasked with coming across the source of this message, and more importantly, to make sure that this "ultimate power" is not obtained by the wrong person. With six other bounty hunters, each with their own abilities, also after the power, Samus's mission will be no cakewalk. 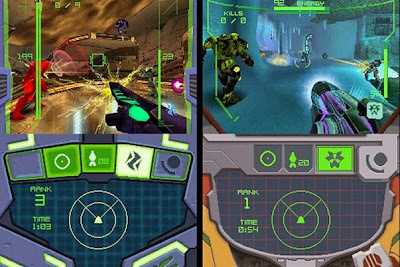 Metroid Prime Hunters's story is one that is similar to other games in the series. It's not very pronounced, nor is it constantly in your face. 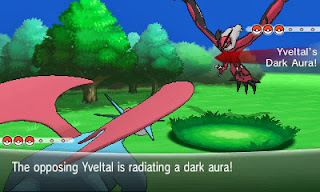 Full motion video plays for important story portions, while everything else is told through scanning optional lore, scattered across the four areas of the game. Samus Aran's goal for each area she visits is to acquire a powerful Octolith. However, this task isn't as simple as walking into her local Walmart and picking one up alongside some light bulbs and produce. 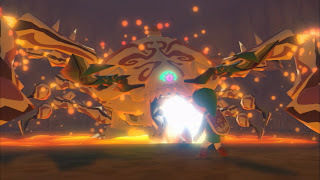 No, each planet or space station Samus comes across houses three unique artifacts that must be collected in order to open the portal to the boss that houses the Octolith in question. Collecting artifacts is performed through fervent exploration, as well as simple environmental puzzle solving. The exploration of the game isn't as heavy as other Metroid titles, but there's a fair amount. However, you will be doing more shooting than venturing through ambient sci-fi themed environments. That said, there's still plenty of helpful upgrades that are hidden off the beaten path. Things like health-boosting energy tanks, missile expansions, and affinity sub-weapon upgrades. Bosses are one of the single player campaign's weakest aspects. Although there are eight Octoliths in total to obtain, you're really only going up against the same two bosses. Each encounter with one of the foes offers different attack patterns and elemental weaponry used on Samus. This seems like a total cop-out and a totally missed opportunity to add some more freshness to the game. Outside of these boss battles for Octoliths, Samus will encounter various bounty hunters and planet-defending Guardians in combat. These battles will definitely get one's trigger finger twitching. If Samus perishes in a fight with a bounty hunter, they are able to steal one of her collected Octoliths. This means you must go the planet or area where that bounty hunter is at and defeat them to retrieve your coveted prize. 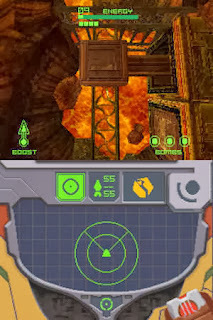 Unlike other Metroid games, Samus' suit does not gain new abilities in Metroid Prime Hunters. Everything ability-wise (albeit a limited selection of moves) is available to her from the beginning of the game. What enables her to venture into unexplored areas of levels-- usually on a return trip to a level-- are sub-weapons that she collects throughout her adventure. Some doors can only be opened by a specific sub-weapon, or a force field can only be destroyed through the use of a given sub-weapon. The sub-weapons I'm alluding to are the same ones that the six other bounty hunters after the ultimate power prize utilize. From launching bouncing fireballs with the Magmaul to firing off a thin sniper shot with the Imperialist, Samus can become a force to be reckoned with. Perhaps the biggest addition to Metroid Prime Hunters is a fully featured multiplayer mode for up to four players or bots (hallelujah, bots! ), available locally or online. The latter has random matches full of cheaters and hackers, so it's best to play with friends when hopping on the interwebs. Lag depends on you and your opponents' connections, so it can range from great to awful very easily. 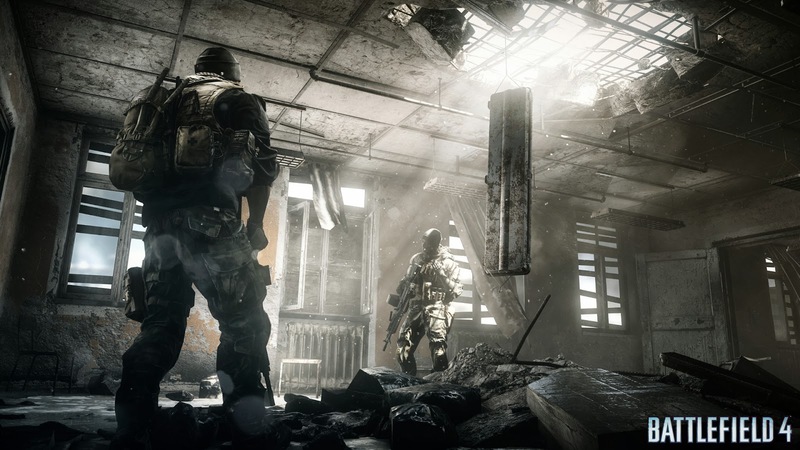 Multiplayer offers an abundance of stages (20+ mostly taken directly from the single player campaign), modes and options to deliver a frag-tastic experience that will last for a good while. 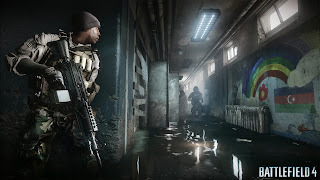 There's your standard get-the-most-kills mode, last-hunter-standing mode, king-of-the-hill mode, and a capture-the-flag-type mode, but there's also fresh mode ideas that have players dropping off Octoliths at random points of a given map and a mode where players must kill the Prime Hunter to take over the namesake and attempt to survive. The player who is the Prime Hunter the longest is the winner. Metroid Prime Hunters offers two control types that can be customized to the player's liking. One way to play is by using the touch screen to look around, double-tapping the screen to jump, and using the L button to fire. This makes the most sense, as you'll be needing to utilize the touch screen to select Samus' scanner, switch between sub-weapons and missiles, and roll into the Morph Ball. The other control method is more traditional, using the face buttons to look around and the R button to jump. I primarily used the latter, though it made aiming a bit more difficult. You do not get anywhere near the precision of aiming with the touch screen when you aim via the face buttons. 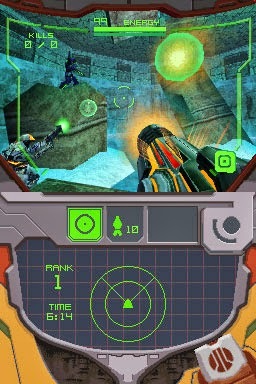 A visually appealing game, Metroid Prime Hunters really looks solid for a Nintendo DS game. Yes, the textures are predictably muddy, and there is some slowdown when the action gets a bit too crazy, but overall, Metroid Prime Hunters is an impressive technological beast. What isn't so impressive, however, is the music. The Metroid series generally has a wealth of memorable tunes for each of its games, but Metroid Prime Hunters is the redheaded stepchild of that bunch. 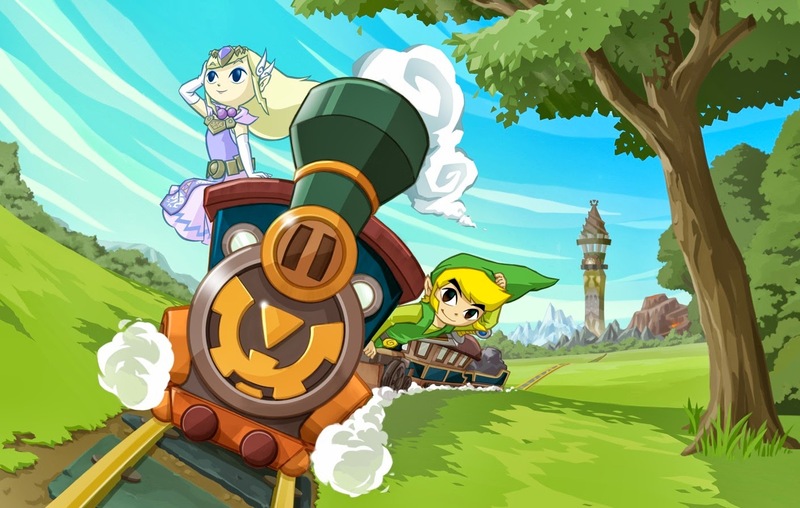 The original tracks heard throughout the game are highly forgettable and don't really draw you into the game. Nintendo's team at NST successfully created a Metroid game that contains a somewhat worthwhile campaign and a multiplayer component that is a load of fun, though Metroid might not have been the best Nintendo series to turn into a competitive shooter. If you can get over that directional detour the series has taken with this game, Metroid Prime Hunters delivers a capable first-person shooter that works really well on the Nintendo DS hardware, comfort issues aside. 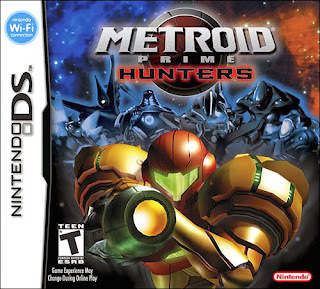 If you're looking for first-person shooters on the Nintendo DS that showcases the hardware well, Metroid Prime Hunters might be the title to get in on the thrill of the hunt with. This past Tuesday Nintendo unleashed a brand-new trailer for the newest Mario title, Super Mario 3D World. Many who had been on the fence or even upset over the game after E3's less than impressive debut trailer changed their tune once they saw all of the wondrous gameplay this new Wii U exclusive Mario game had to offer. Back in November of 2011, SuperPhillip Central celebrated the launch of Super Mario 3D Land on Nintendo 3DS with a list of my favorite Mario power-ups and suits. It's nearly two years later, and we would like to return to that idea, in anticipation for Super Mario 3D World. 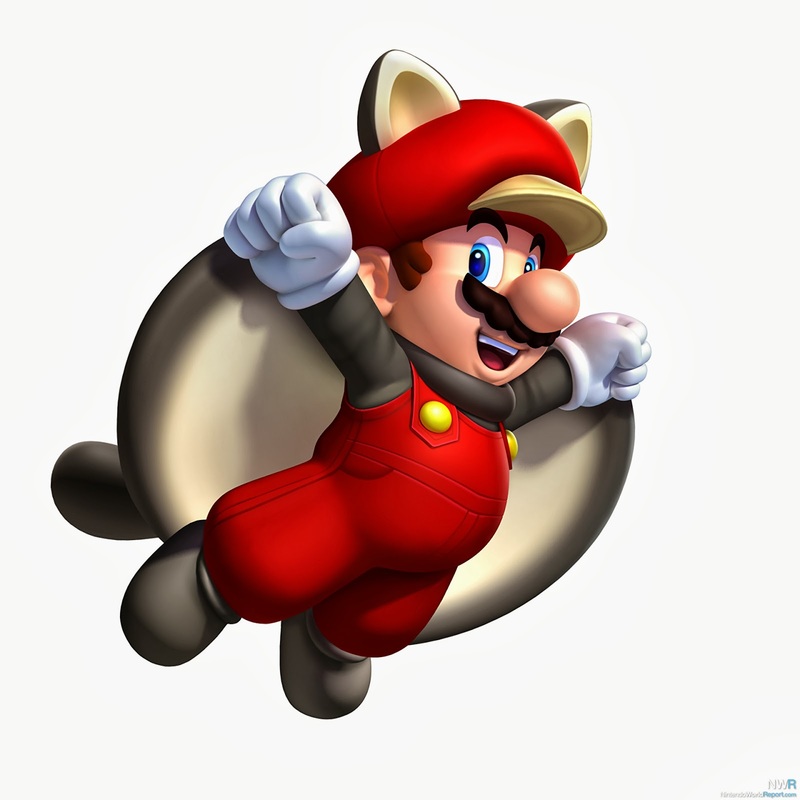 The latest power-up in the series will turn Mario into Meow-rio with the Cat Suit. Who knows-- maybe that suit will be on a future version of this list! As for now, here is SuperPhillip Central's top ten Mario series suits and power-ups. There's been so many excellent transformations for the portly plumber. We've compiled our picks for the cream of the power-up and suit crop. Super Mario World might not have had a multitude of new power-ups (in fact it just had this one), but the one it did have was pretty incredible. 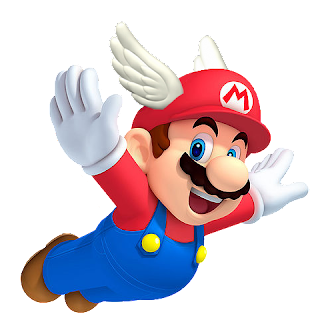 With the Cape Feather, Mario and Luigi could wear flowing yellow capes that when they dashed off the ground, they could fly high in the air. The cape could be used as a parachute, allowing skilled players to stay airborne for the entirety of a level-- essentially zooming high above dangers! Of course, why would you want to do that when the levels of Super Mario World are so fun to play normally? Super Mario Galaxy 2 is one of SuperPhillip Central's favorite games of all time. The power-up we're using the represent this game is exclusive to Galaxy 2. It's the Cloud Flower, allowing Mario to transform into Cloud Mario. 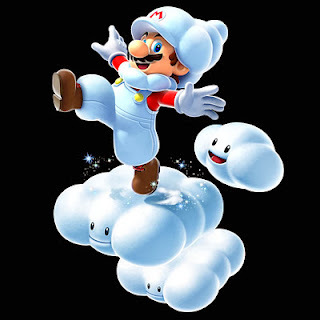 With this suit, Mario can summon a total of three clouds (with a shake of the Wii Remote by the player), which serve as platforms. These cloud platforms can be blown by gusts of wind and disappear after a few moments. It's an absolute blast making death-defying long jumps, summoning clouds to save yourself from your demise. Super Mario Bros. 3 is one of Mario fans' all time favorite Mario titles, and the power-ups introduced to the series via the game is but one reason why. Number eight on our list is the Frog Suit, turning an otherwise awkward swimming plumber into an amphibious swimming champion. Mario or Luigi's mobility underwater is greatly improved, allowing for more accurate swimming and better movement. 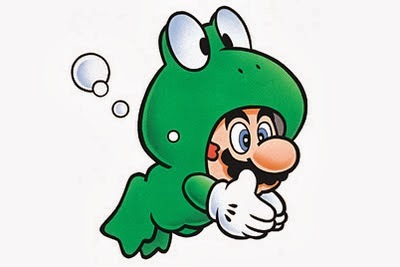 On land, however, the Frog Suit isn't as useful, slowing down the plumbers significantly. Still, they look so adorable clad in green! With a Boomerang Flower, Mario can transform into Boomerang Mario. This suit from Super Mario 3D Land, which will also be making an appearance in Super Mario 3D World, allows Mario to act like a Boomerang Brother, chucking boomerangs at foes. 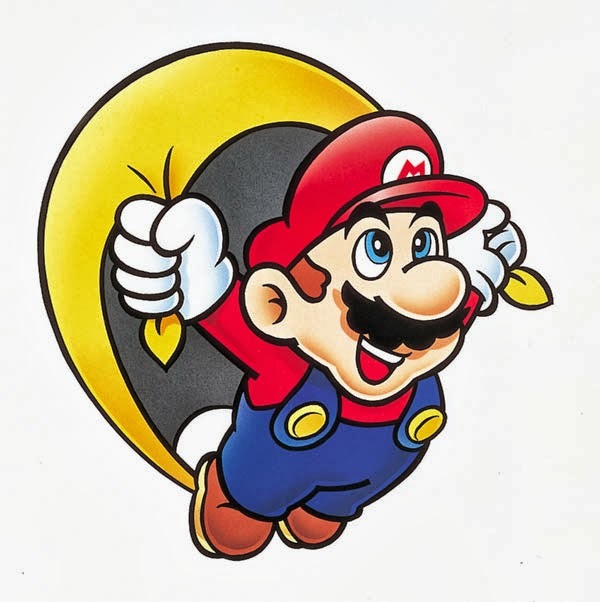 Expert players can toss a boomerang, and leap over it each time it passes to have the weapon continually swing behind and in front of Mario. This is great for picking up easy 1-ups. Plus, Mario just looks absolutely awesome decked out in this blue suit. New Super Mario Bros. Wii introduced the Penguin Suit into the Mario series. 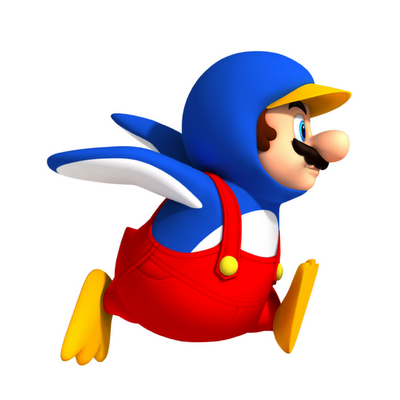 Penguin Mario has two different abilities to it. 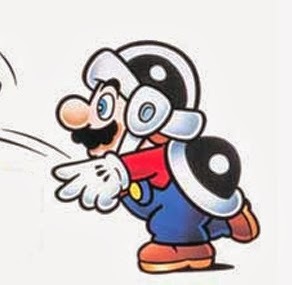 Mario can launch ice balls from his fist, which will freeze most enemies solid, allowing him to pick them up and chuck them at other foes. Penguin Mario can also slide on his belly, speeding through levels, rushing through enemies, and making players like us totally giddy. This latter ability allows Mario to slide under low-hanging ceilings, granting him access to otherwise unreachable areas. With two times the usefulness, the Penguin Suit is an invaluable addition to Mario's arsenal, especially on ice. The other suit introduced in New Super Mario Bros. Wii is Propeller Suit, transforming Mario through picking up a Propeller Cap. This unique suit allows the player to send Mario soaring high into the air through a shake of the Wii Remote. This is perfect for reaching high platforms or Star Coins that are otherwise out of reach for normal Mario. After the propeller on his cap launches Mario into the sky, it slowly spins around, moving Mario slowly down to the ground. New Super Mario Bros. U, a Wii U launch title, gave players a new suit to be entertained by, and if you're like us, then yes, you were very entertained by the one and only Squirrel Suit. Picking up a special acorn turned Mario and friends into squirrel versions of themselves, able to glide across large distances, have a burst of upwards mobility (once per flight), and perch upon walls. It doesn't hurt that Mario and the gang look absolutely suave in their new squirrel digs. The Squirrel Suit is a suit that doesn't break the game it is featured in, but allows players a stylish and incredibly enjoyable way to traverse levels. Super Mario Bros. 3 had a bounty of awesome suits, and the Hammer Suit was no exception, giving Mario the power to chuck hammers like he was giving them away to enemies like candy. Unfortunately for enemies, though, unlike candy, hammers actually hurt when they're tossed at you. 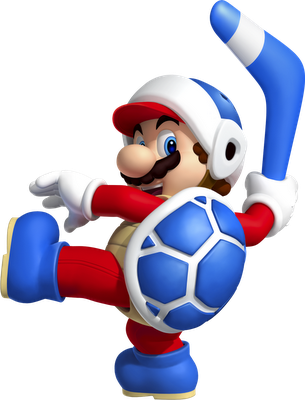 Hammer Mario could even use the shell on his back to block attacks from foes by entering a ducking pose. It's just a shame that the Hammer Suit was so rare in Super Mario Bros. 3 and has only appeared in that game and its remakes. The final suit representing Super Mario Bros. 3, the Tanooki Suit was prominently featured in Super Mario 3D Land, having enemies even donning Tanooki tails. In both Super Mario Bros. 3 and in the latter half of worlds in Super Mario 3D Land, the suit could turn Mario into a statue, making him completely invulnerable to enemy attacks. 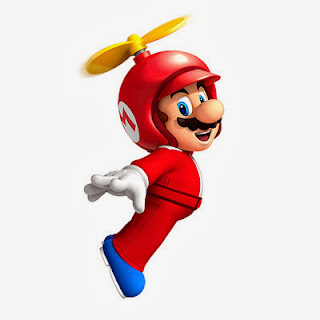 Besides that usefulness, in Super Mario Bros. 3 the suit gave Mario the power of flight and some extra control when landing through flapping the suit's tail to slowly float to the ground. 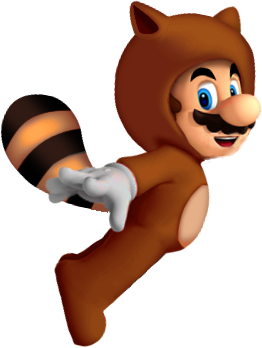 If you thought Super Mario 3D Land was a breeze, perhaps try a no-Tanooki-Suit run. You will definitely feel the challenge! Our favorite Mario power-up is one that floored us way back in 1996. It's Wing Cap Mario from Super Mario 64 and its Nintendo DS launch remake, Super Mario 64 DS. It was gratifying and gave us an immense sense of freedom to soar above levels in a 3D space, throwing caution to the wind, zooming up and down through the glorious blue skies. Even though there was a limit to how long you could wear Mario's special cap, the absolute joy we received through our times of flight gives Wing Cap Mario the number one spot on our countdown this time around. There's so many other interesting power-ups and suits throughout Mario's illustrious career in gaming. There's Bee Mario, Fire Mario, Shell Mario, Metal Mario, Mini Mario, and so much more. Which ones are your favorites? Let the SPC community know in the comments section below. We have reached the beginning of a new month, so that means it's time to take a look at the planned North American retail video game releases for the month. We've reached the busy time of the game release season, and this is just the beginning. Next month is sure to be even crazier. For now, check out these twelve releases hand-picked by the SuperPhillip Central staff. As always, release dates are subject to change (hopefully not, though). Which of these games do you plan on purchasing, if any? 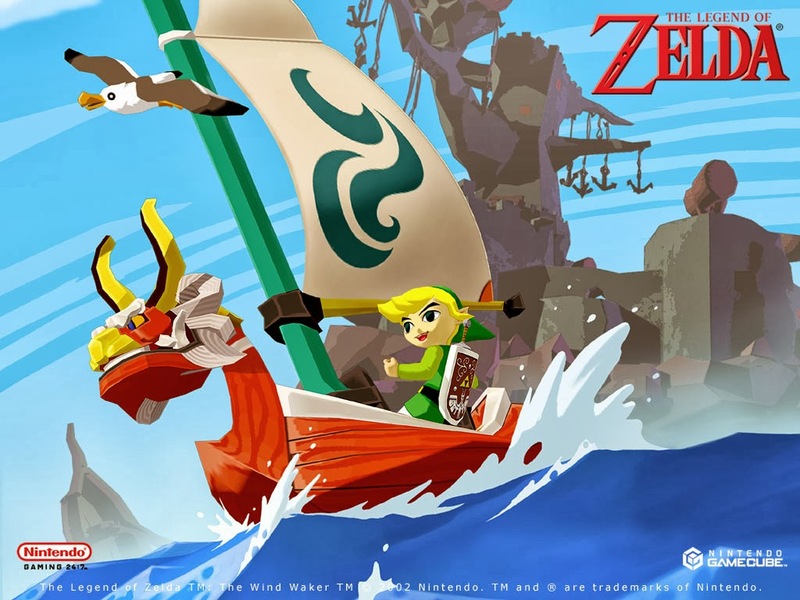 Already released digitally to Wii U owners, The Legend of Zelda: The Wind Waker HD is having its official retail release on Friday. A limited edition of the game is available for purchase at GameStop stores and online, featuring a collectible 5" Ganondorf figurine. 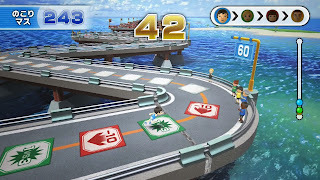 The actual game contains many improvements over its decade's old original, including the obvious higher definition visuals, a less tedious Triforce quest near the end of the game, and Wii U GamePad functionality. The hits keep on coming to the Wii U this fall, and The Legend of Zelda: The Wind Waker HD continues this trend. From the makers of Heavy Rain, Beyond: Two Souls is an upcoming psychological thriller releasing next week in North America. The game is receiving lots of hype, and it's well deserved. Actors Ellen Page and Wiilem Dafoe lend their likenesses and voices to the game. Beyond: Two Souls contains a plethora of dialogue, a thought-provoking story, and plenty of twists and turns to keep the player engaged. 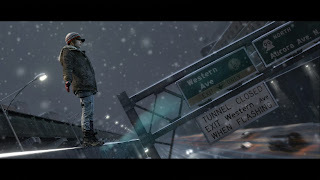 The game had the honor of being screened at the Tribeca Film Festival-- only the second game to be featured at the festival, the first being L.A. Noire. 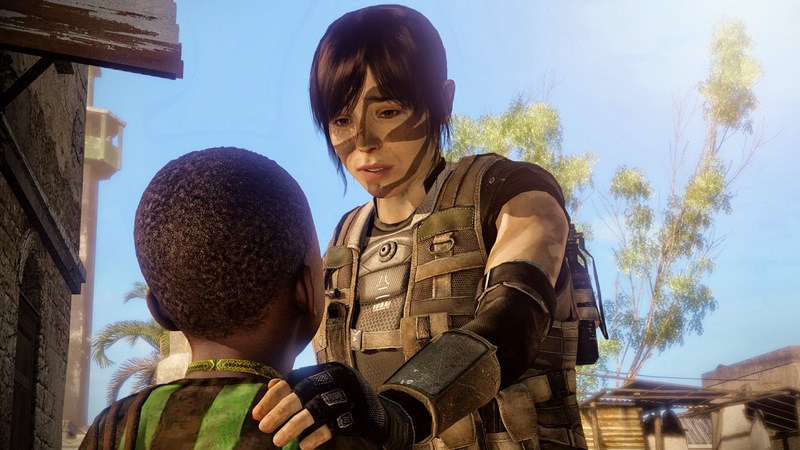 It looks like Beyond: Two Souls will be yet another killer exclusive for PlayStation 3 owners. For the first time in a long time, the majority of staff at SuperPhillip Central (okay, that's two out of three people) are excited for a new mainline Pokemon game. 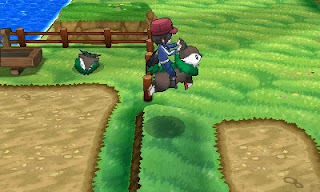 Instead of simply being evolutions (pun intended) to the series, Pokemon X and Pokemon Y are meant to be revolutions to the series, offering 3D maps, 3D battles, character customization, multiple new Pokemon, mega evolutions, new Pokemon types, and so much more. There's no doubt Pokemon X and Y will send Pokemaniacs into a tizzy when it releases on October 12. 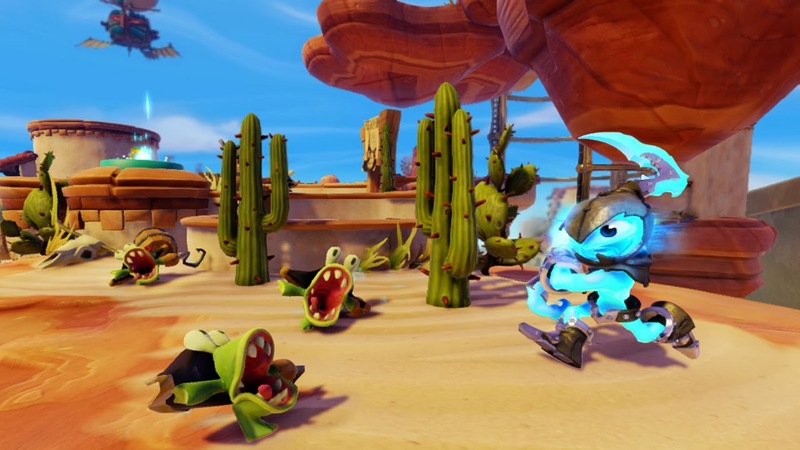 Since Disney Infinity released back in August, Activision's Skylanders series got a whole new heap of competition. Rather than rest on its laurels, the newest Skylanders game features an intriguing new component to it, the ability to swap parts of figurines with others to create new characters. In total, there are 256 combinations (heads and bodies) to utilize. In addition to this, a feature from the handheld versions of the series makes its console debut-- the ability to jump, adding platforming to the mix to create an even fresher experience. 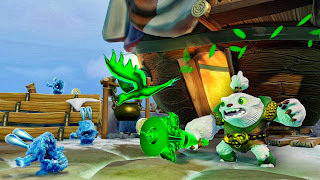 Skylanders: Swap Force will release October 13. With this and Pokemon releasing back-to-back, kids this October will be more than set for the rest of the year! 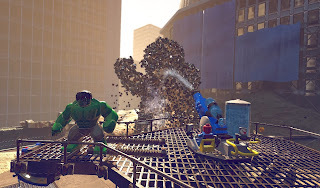 Having already dealt with the DC Comics universe with LEGO Batman 2: DC Super Heroes, TT Games are moving onto the Marvel universe of characters. 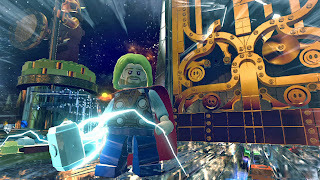 Over 150 Marvel superheroes and villains will be on display in LEGO Marvel Super Heroes, a game following the structure of past LEGO games (i.e. 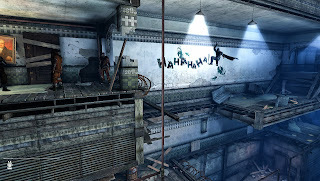 action-adventure moments and puzzle solving gameplay). The story has the universe-destroying Galactus as the main villain, having Nick Fury calling in his team of S.H.I.E.L.D. all-stars to combat the threat. 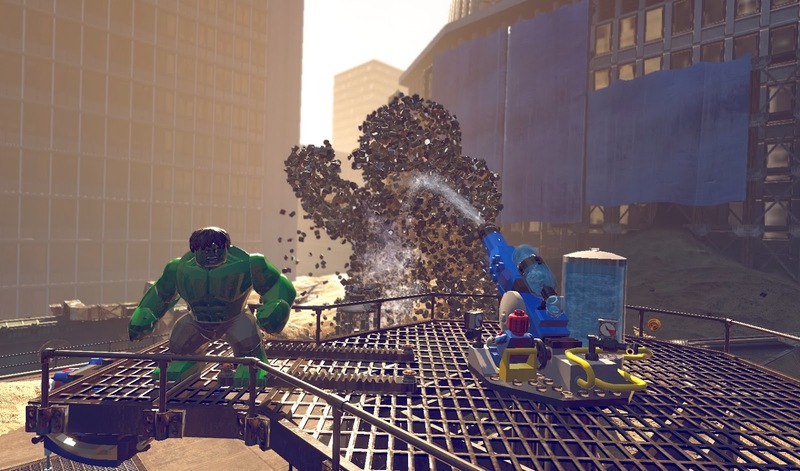 Coming off LEGO Batman 2: DC Super Heroes and LEGO City Undercover, we're certainly hyped for the latest in the LEGO series. We won't have to wait long either, as LEGO Marvel Super Heroes joins forces with consumers on October 22. When a less refined Batman gets a bounty put on his head, a myriad of assassins make their way into Gotham City to obtain the reward through silencing the Dark Knight for good. 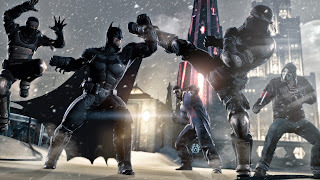 Batman: Arkham Origins may not have Rocksteady Studios at the helm, but we believe WB Games Montreal will create a worthy successor to both Arkham Asylum and Arkham City. For the first time in the series's history, a multiplayer component will be implemented. The Wii U version does not contain such a mode, but thankfully it will be priced ten dollars less than the other versions. It's a good alternative for those who don't want multiplayer in their Batman games. Batman: Arkham Origins releases October 25. Accompanying the release of its big brother, Batman: Arkham Origins Blackgate is a handheld exclusive game that will launch alongside Arkham Origins. 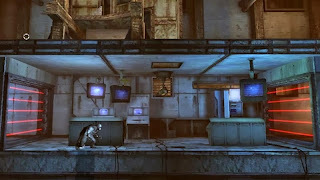 Armature Studios (a studio made up of former Retro Studios developers) is the force behind this 2D Metroid-like game. 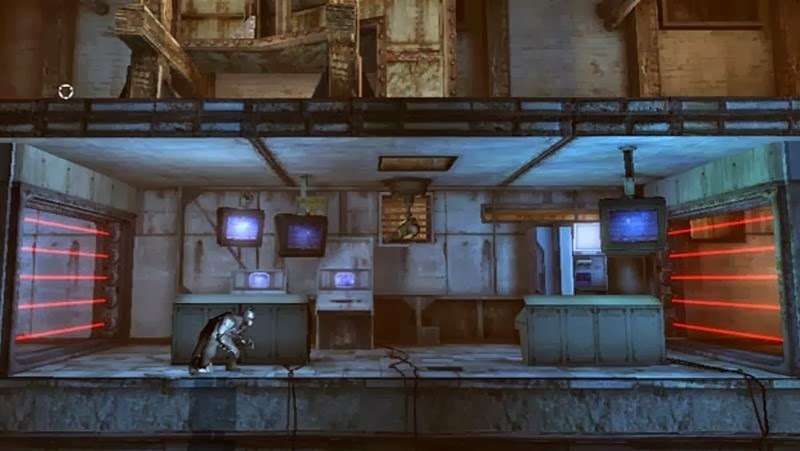 The focus of Blackgate will be on obtaining new gear, armor and gadgets to access previously inaccessible areas, taking down henchmen and bosses like the Joker, Penguin, and Solomon Grundy. 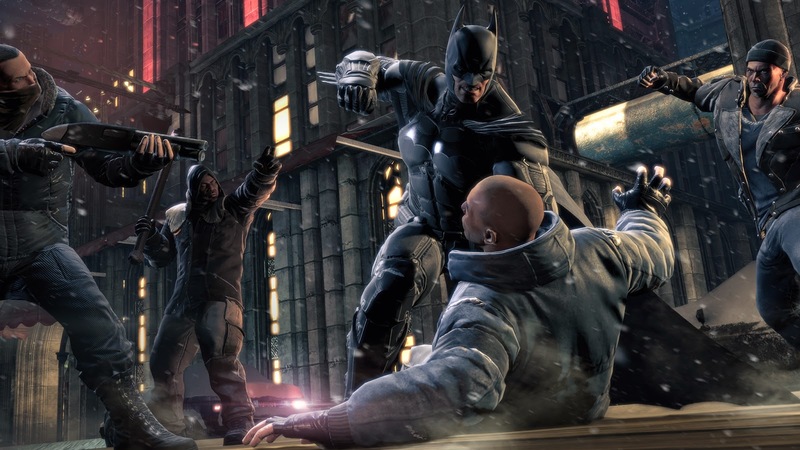 Batman: Arkham Origins Blackgate releases on the same day at the completely different home console versions. Wii U is having a party soon, and you're definitely invited. No need to RSVP either! Wii Party U will be releasing later this month, and it will offer a huge array of mini-games, each offering unique ways to play. 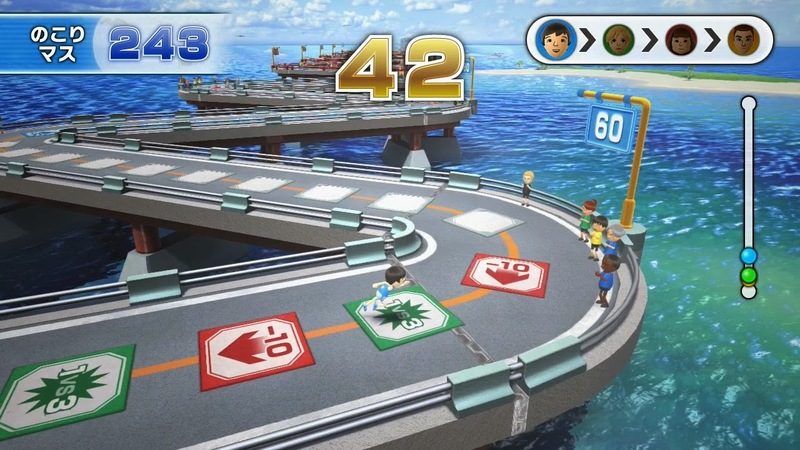 The game will utilize the Wii Remote Plus controller for the majority of the time, while tabletop games, such as baseball and slot car races, will be played between two players by sharing the Wii U GamePad. 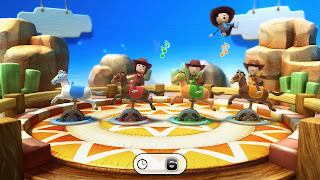 Wii Party U might not be everyone's cup of tea, but its relatively low entry price, bundle with a Wii Remote Plus, and oodles of fun for friends and family will make for a grand old time for anyone with an itch to party hearty. While all of us have brand fatigue from this yearly series, Assassin's Creed IV: Black Flag will most likely interest those that still enjoy the franchise. 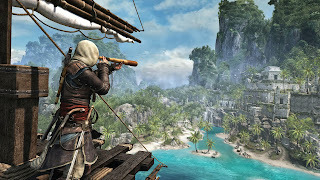 The game will have a focus between land and naval exploring, offering a multitude of means to journey around Black Flag's three unique cities. Outside of these cities are other areas to come across, such as ruins, forts, and sweltering jungles. Alongside this exploration focus, players will be able to captain their own ship, as well as recruit new crew members. 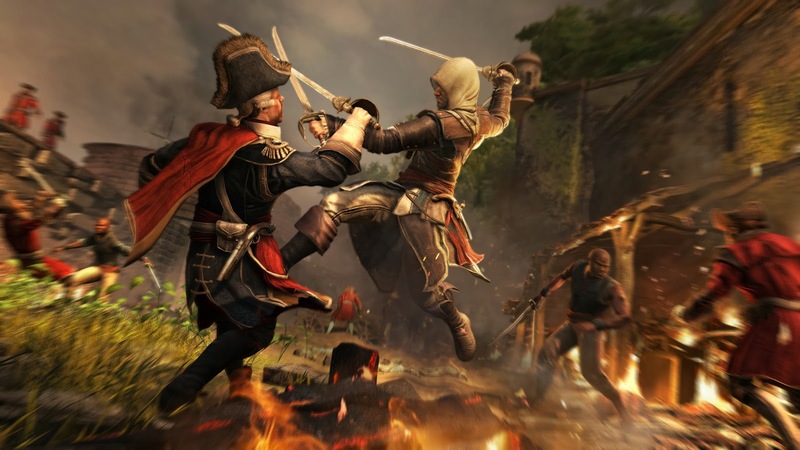 PlayStation 4 and Xbox One versions of Assassin's Creed IV: Black Flag will debut with their respective console launches next month, but for Wii U, PS3, PC, and Xbox 360 owners, you'll get your chance to venture through the world of Assassin's Creed IV late this month. While Assassin's Creed is a series we have brand fatigue from, the military shooters is a genre we suffer genre fatigue from. Still, for those that can't get enough gunning down the enemy as a soldier, Battlefield 4 looks to set itself apart from its closest competition, the almighty Call of Duty franchise. The game will feature large-scale maps for multiplayer action while the single-player campaign will introduce miniature open-world levels to create a greater sense of openness, creating new opportunities for battle. Like Assassin's Creed IV: Black Flag, a PS4 and Xbox One version will be releasing on those systems. 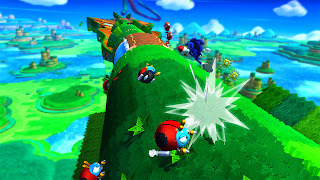 Coming fresh off the heels of Sonic Colors and Sonic Generations, Sonic's Nintendo-exclusive pair of new titles takes the series back to new heights. Sonic: Lost World is a game heavily reminiscent of Super Mario Galaxy, but that's quite alright. Why not draw inspiration from the best? 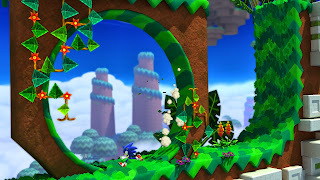 Sonic's arsenal includes all-new parkour moves to reach new areas in the levels of the game, more options to control Sonic's speed, and a focus on tight platforming rather than heavy speed. Though the game was delayed a week from its original October 22 release date, we can wait a week to try out Sonic's newest platforming escapade. WWE 2K14 is the first game in the series under the 2K moniker, as THQ went belly up and 2K Sports took the series's mantle. Many improvements have been made to create a faster, more fluid gameplay experience. The big draw of WWE 2K14 is the new 30 Years of Wrestlemania mode, a mode featuring three decades of WWE Wrestlemania highlights, playable matches, and superstars past and present to play as. Each era of the WWE will be fully represented, tugging on the heartstrings of those of us who grew up watching Hulk Hogan, Bret Hart, Shawn Michaels, The Rock, Stone Cold Steve Austin, and many more. WWE 2K14 will lay the smack down on store shelves near the end of the month. Just a quick note that the Review Round-Up for September will be combined with October's list of reviews. Now that that is taken care of, it's the beginning of a new month, which means it's time for the Central City Census! We are eager as ever to ask you guys the next question to answer, but first we must take a peek at the results from September's census. Let's do that now, shall we? The question posed was which generation of gaming consoles was your first foray into gaming. We sort of expected the third generation (NES, SMS) to top the poll, and that's what happened. Tied for second place was folks from the second and fourth generations. Then, some of our younger readers joined the gaming scene in the fifth, sixth and even seventh generations of gaming consoles. Lastly, three individuals were around since the beginning of the gaming industry during the first generation. With the poll results explained (as if they were difficult to understand in the first place), let's move onto October's census. The Wii U has been out for almost a year now in most territories. Soon, the Xbox One and PlayStation 4 will be debuted in many markets. The question which the Central City Census asks this month is: Which of the three eighth generation home consoles do you plan on owning by the end of the year? What game has knitting, bouncing ninjas, puzzling pirates, sneaky ostriches, and more? Why, it's Wii Party U, an upcoming release this month that will have living rooms jumping. The original Wii Party was recommended by us way back when it launched. We look forward to getting our hands on this packed sequel. While we're speaking of Sonic, let's look now at a new trailer for Sonic: Lost World. This Wii U-specific trailer acts as an overview of the game, as its release date later this month approaches. Between Sonic: Lost World, Super Mario 3D World, Rayman Legends, and New Super Luigi U, platformer fans on Wii U have a lot to love this year. Mario and Sonic are at it again for their fourth Olympic outing. This time the action takes place in Sochi, Russia for the 2014 Olympic Winter Games. By far the coolest addition to the franchise (outside of awesome new dream events) is the inclusion of online multiplayer. Face off against friends and foes the world over when Mario & Sonic at the... I'm not writing that all out... releases November 15 in North America. A surprise, but most welcomed announcement from this morning's Nintendo Direct was Kirby debuting on the Nintendo 3DS. While the game has no name, we do know that it will be releasing some time next year. The gameplay is similar to the Wii's Kirby's Return to Dream Land, and even features nods to Wario Land on the Virtual Boy, with Kirby switching between the foreground and the background in levels. The wait for 2014 will be hard, but there's plenty of other games to keep us busy in the meantime. Just imagine, if you will, that Nintendo had shown THIS trailer at E3. The public opinion of the game would have been greater. Now, many critics are actually impressed with Super Mario 3D World. We know our hype levels have immediately risen after seeing Mario and the gang in action. Super Mario 3D World will launch in North America on November 22. 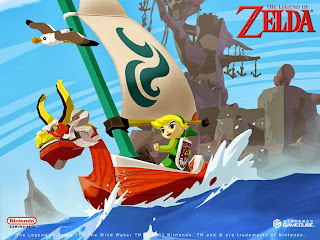 Nintendo released a Wii U bundle, which included a digital copy of The Legend of Zelda: The Wind Waker HD. For those of us North American folk who want the retail copy, we have to wait until Friday. Nintendo, as well as many concerned gamers, hope that the new bundle and low price can start the momentum for the struggling Wii U. Regardless, we're not here this fine Monday night to talk about that. No, tonight we have five songs from The Legend of Zelda series to help celebrate The Wind Waker HD's retail release this Friday. From Zelda II to Majora's Mask, you will certainly get your Zelda fix in by listening to this five terrific tracks. 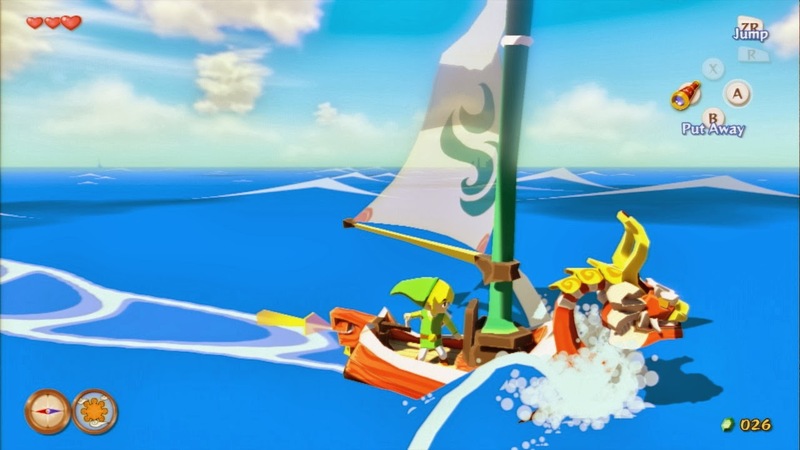 Set sail for uncharted land with Link in The Legend of Zelda: The Wind Waker! 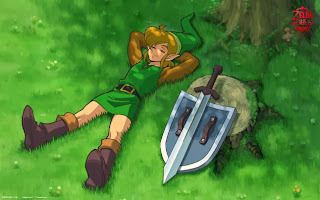 When the game's style was originally shown off, many Zelda purists turned their noses to it. They asked, "Where was the realistic art style from a year ago?" When the game finally came out, all of those cries were hushed. Now, with The Wind Waker HD for Wii U out digitally and the retail version on the way, the style is one of the most cherished of the entire series. Phil has something to admit-- he's never beaten the original Legend of Zelda or its nontraditional sequel Zelda II: The Adventure of Link. That's okay, though, on the latter because he's not alone. Zelda II is a very difficult game. The rest of the gang at SuperPhillip Central didn't beat it until recently! 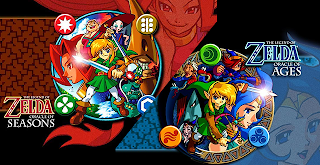 Capcom's now-defunct Flagship studio worked on a pair of original Zelda games for the Game Boy Color-- The Legend of Zelda: Oracles of Ages and The Legend of Zelda: Oracle of Seasons. There was to be a third game, but time constraints did not permit such an ambitious undertaking. Still, these two Zelda games are wonderful enough by themselves, but together they make one impossibly great duo. 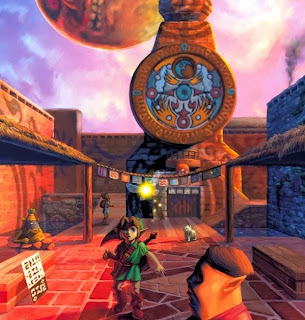 After The Legend of Zelda: Ocarina of Time 3D's release, many Zelda fans (including us) have been demanding Nintendo remake Majora's Mask on the Nintendo 3DS next. After all, Ocarina of Time and Majora's Mask share many assets. Hopefully that day comes, as it's been quite a while since we've visited the land of Termina. Sitting in front of Hyrule Castle is the town, where the inhabitants barter and trade with one another, as well as live their lives. The Legend of Zelda: Spirit Tracks was the second of two Nintendo DS-exclusive games. Many do not care for both games, as they were controlled with the stylus almost solely. We were enamored with the controls, and loved the innovation and ease of mobility created by them. Still, we'll take an analog stick and buttons over a stylus any day.